Want to share the crochet love? Want to learn to crochet, but never have gotten around to it? Love talking crochet geekery? Want to learn crochet AND make awesome things while you are doing it? Well, this for you!!!! 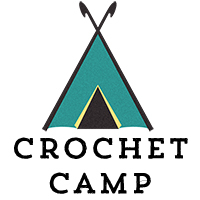 Starting the 15th of July, we are going to get out the hooks and head off to Crochet Camp! 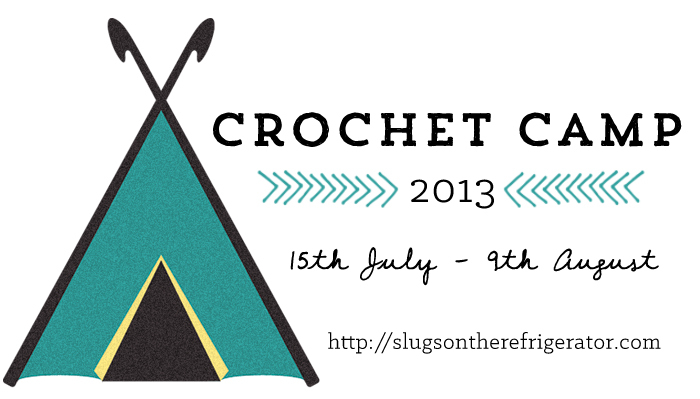 Crochet is taking over Slugs on the Refrigerator for 4 weeks of free crochet awesomeness. We will have project-based crochet lessons. We will cover the basics. We will troubleshoot problems you may have. We will have crochet Show and Tell. We will have interviews, giveaways and inspiration... all the while making super cute and useful items so you have something to show for all your work! Wait, where do you want me to put that hook? We will also have a Crochet Help Desk where you can get your burning crochet questions answered by experts. 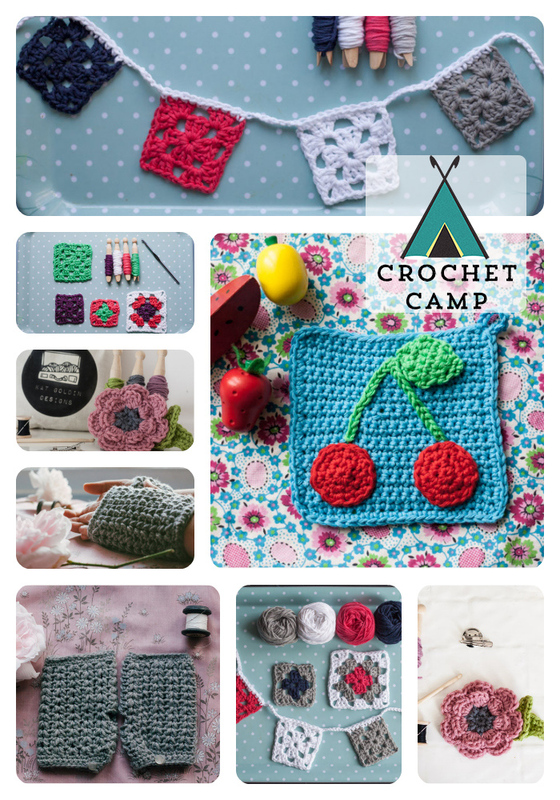 - Cherry Delicious Pot Holders - learn the basics of crochet - chaining, increasing, decreasing, working in rows, working in rounds. - Granny Squares a Go Go - Learn the basics of granny crochet. Once you've made your squares, we'll show you how to use them - either in bunting, a pillow or a blanket! - Basic Flower Brooch - Learn how to work a 3-d project with different stitches and how to read a crochet pattern. - Its Cold at Night Handwarmers- Learn the importance of gauge and how to work in a tube, plus my favourite stitch. Patterns will be available for download as they weeks go live. For those of you who want me to do the hard work for you, the full set of materials are on sale here for £35 and also for individual sale here for £15 each. 8 colours of cotton yarn in the right amounts to make the first 3 patterns. Printed A5 booklets of all of the patterns. 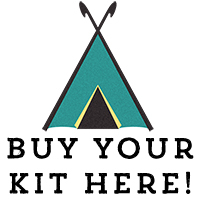 There will be a limited number of kits available, so grab yours quick! Kits will start shipping next week. For those of you wanting to work from your stash or want to go pick your own materials, a list will be published approximately 1 week before we begin so you can go forth and gather your supplies for those of you who are more adventurous. Of course I will! Shipping options are included in the product listing. International orders will ship first to ensure your kit arrives in good time. 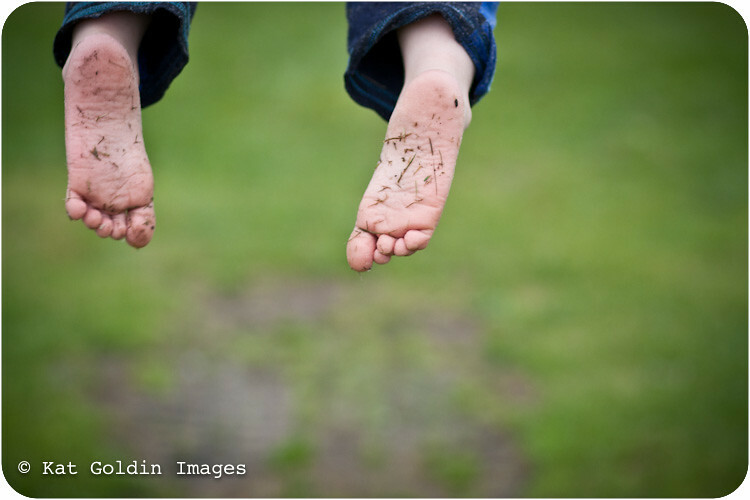 Will you be teaching in UK or US terms? Both! One of the first lessons will explain the difference. You will also be able to pick wether you want your patterns sent in UK or US terminology. Do I have to be a beginner to join in the fun? No way! We want to celebrate the beginners and the oldies! While some of the month will be about learning to crochet, we will also have giveaways, interviews and look at more advanced techniques. This is about celebrating crochet! I'm in!! Where do I sign up? 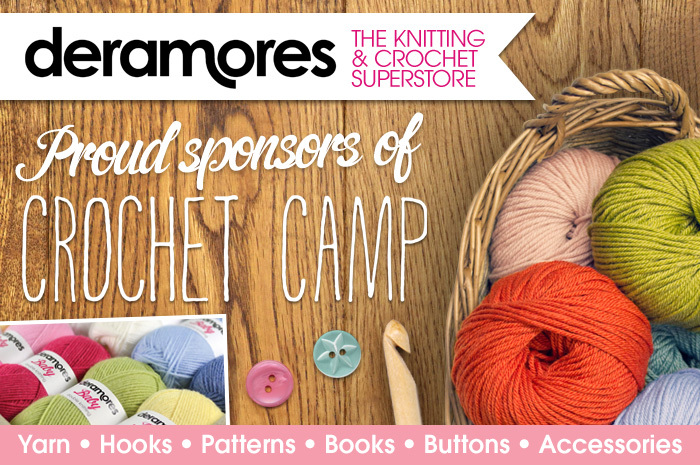 Special thanks to Deramores for sponsoring Crochet Camp!